Seminar Presentations by Chi Rho Consulting and Our Strategic Partners on Strategic Planning, the Startup Funding Process, 360° Demand Generation Strategy, Business Analytics, Brand Strategy and Marketing Strategy. The following are a few of our popular seminar presentations from trade association meetings, startup events and client team meetings. The information we present here is designed to give you a sense of our business strategy consulting firm's core competencies and our areas of expertise. We welcome you to browse the selections and email us any questions you may have. Check back often as new content is added frequently to the archive. ​If you are interested in having a Managing Partner from our strategic consultancy present at an upcoming event of yours, please contact us and let us know. We often waive our speaking fees for startups if the discussion topic is one we've covered before. 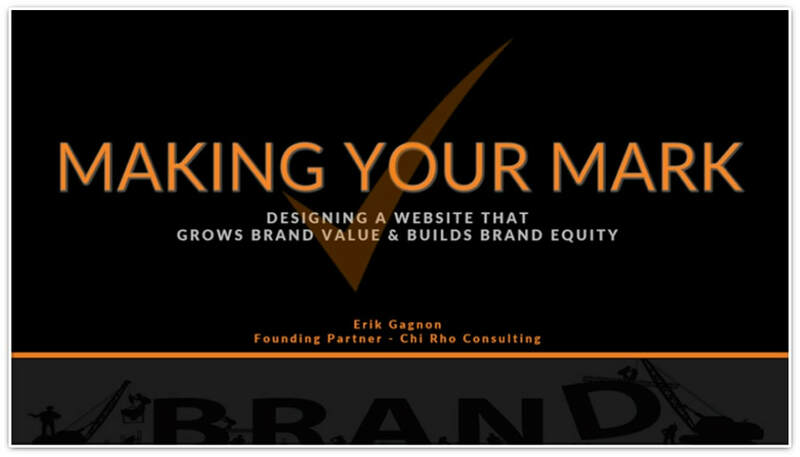 A high-quality website increases your brand's value and also builds brand equity. In this seminar, we present 12 simple design rules to squeeze the most out of your website. In today’s world, your website is typically one of the first points of contact between your organization and your target audience. Strong web design often propels your organization to success. Conversely, poor web design can completely subvert your mission. Are you seeking investment capital for your startup? Do you need to secure additional funding to expand your business? 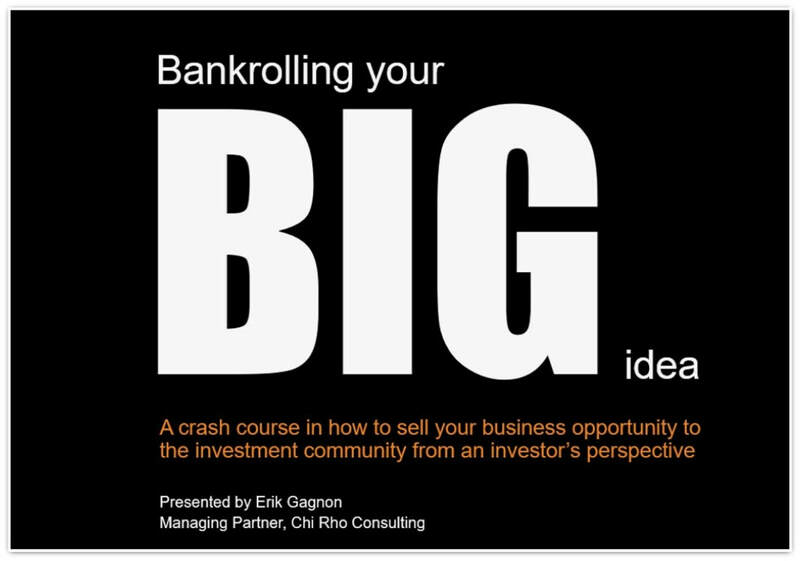 This presentation provides a crash course in selling your business opportunity to the investment community from the investor's perspective. We cover the ins and outs of the investment process and focus on how you can create a marketable business plan that will generate buzz within the investment community for your product or service. 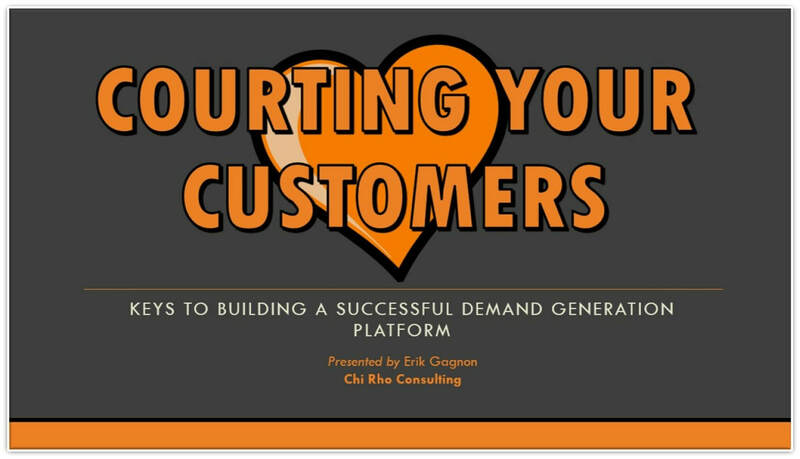 Courting Your Customers addresses the keys to building a successful demand generation program without breaking your bank. We examine the strategy behind your sales and marketing campaigns including the people, the the content and business analytics. We also look at what it takes to build an integrated, best of class process that leverages your organization's strengths affordably, efficiently and effectively.